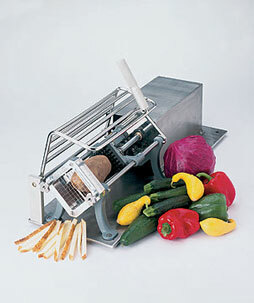 Perfect for all-purpose processing and pre-cutting of all kinds. Like its hand-operated counterpart, the Keen Kutter Multi-Use Air-Powered Cutter can be used on the countertop or wall-mounted. And, it shares all the standard cutting heads with the hand-operated unit. Includes blade head & pusher.